In an ever more louder and distracting world, places that offer moments of peace and silence for people are in high value. One of these silent treasures is Enonkoski. 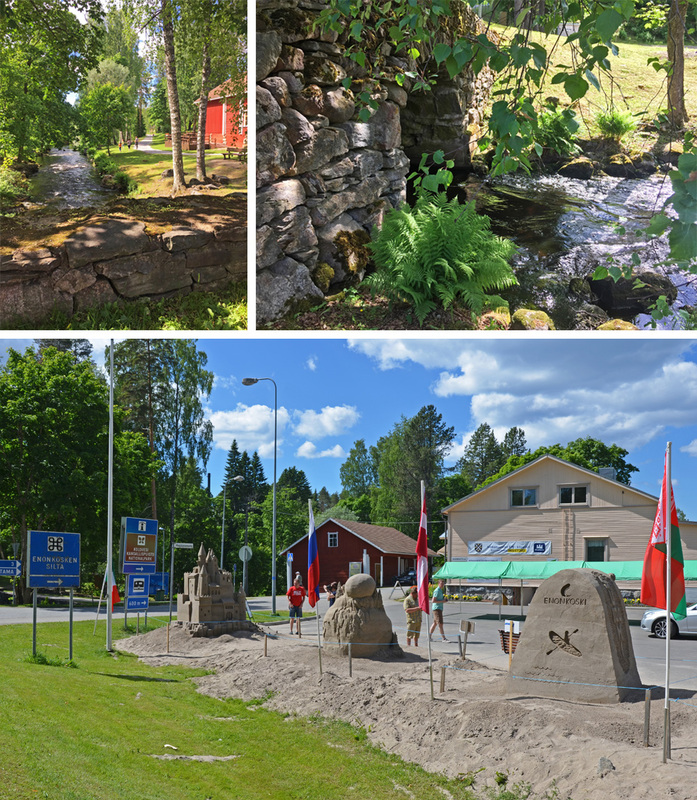 Located about 30 km from the city of Savonlinna, Enonkoski is among the smallest municipalities in Finland. Enonkoski is not that far from my home in Punkaharju, but before discovering its beauty I had just driven through the municipality center a couple of times. A few weeks ago, I got the chance to get to know Enonkoski better. In the following video, you can join me in my restoring day visit in Enonkoski. 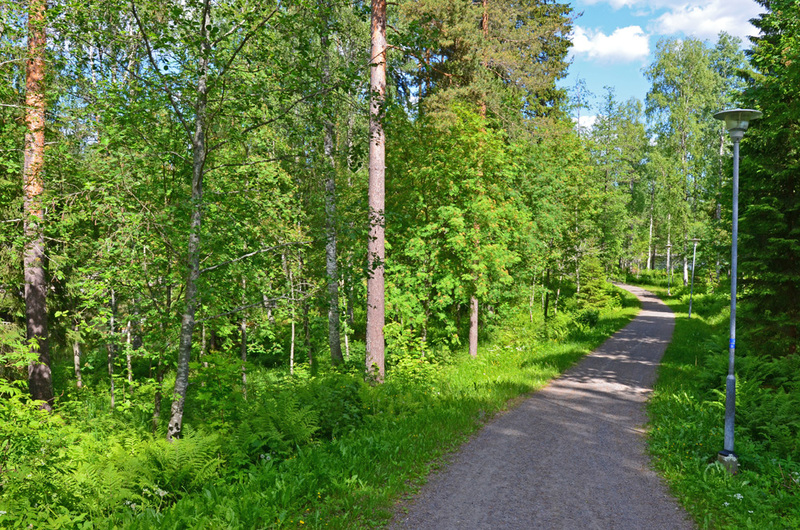 I will take a short walking tour in the center of Enonkoski municipality called Pietarin päiväkävely. 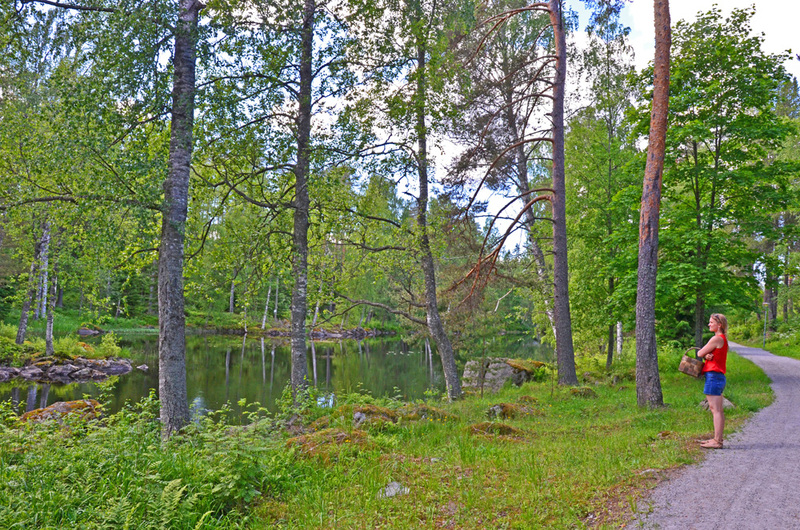 While walking, you will learn more about this charming small place in the middle of Saimaa and Finnish Lakeland. 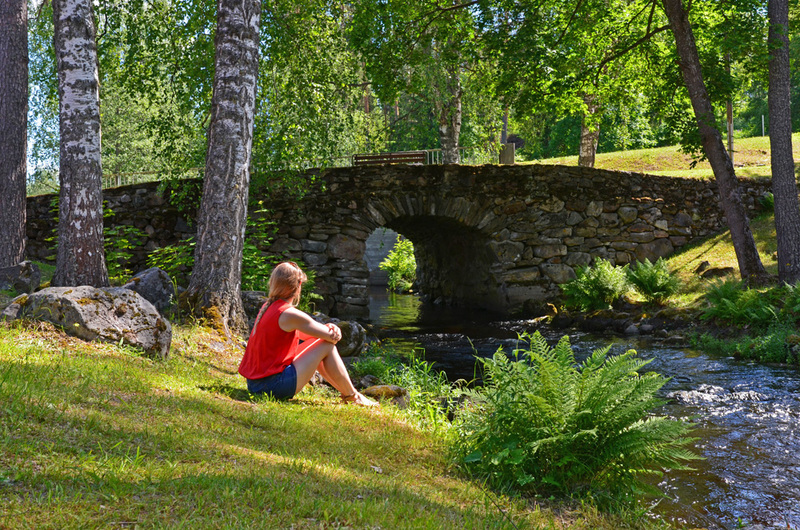 So sit back, relax and enjoy the Enonkoski sceneries! For the best experience, please watch this 360° video in Youtube app with virtual reality headset and remember to turn on HD! Tap on Youtube icon in the player below or open this link https://youtu.be/-H_gxhWWU-Y in your Youtube App. 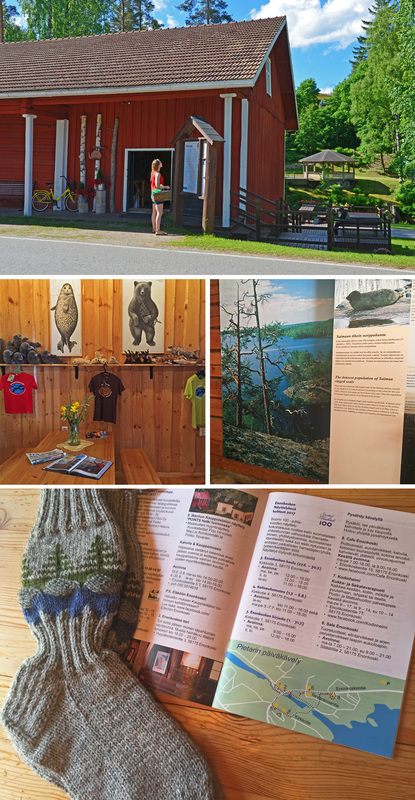 My visit started from Kolovesi National Park information hut where you can also find Enonkoski travel info in the summertime. While walking and admiring nature that was in full bloom, the concept “Silence Travel” came to my mind. 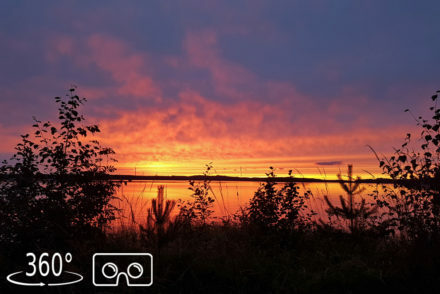 Silence travel is being developed especially in North Karelia province, which is a neighboring province to South Savo where Enonkoski is located. However, there are perfect opportunities for silence travel also in Enonkoski. Huffpost’s article Why Silence is so Good for Your Brain? explains how taking time for silence can make you feel less stressed, more focused and more creative. That is why finding moments of silence and learning to be silent is worthwhile – both in your everyday life and during holidays. Studies have also shown that silence can literally grow the brain because getting quiet regenerates brain cells. 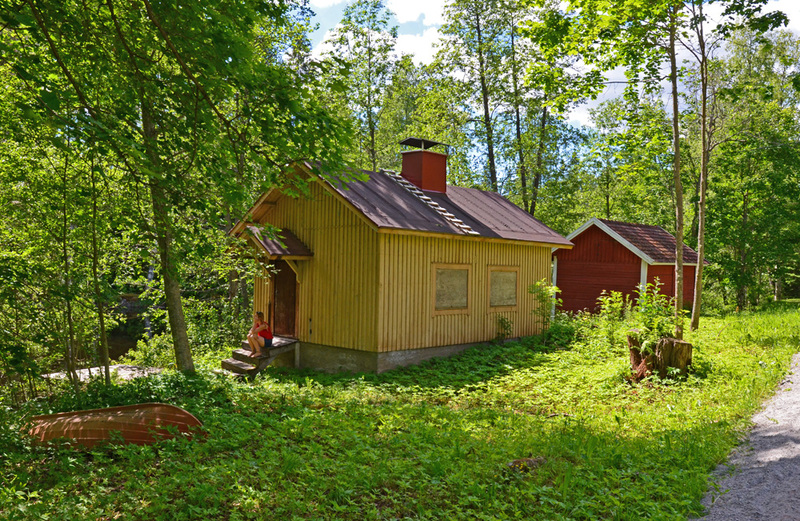 As I was sitting on the porch of an old house in Enonkoski, I felt the good effects of silence both physically and mentally. It’s always interesting to read about the study results, but in that moment there was no need for scientific proof. The positive effects of my serene surroundings were just so obvious to me. 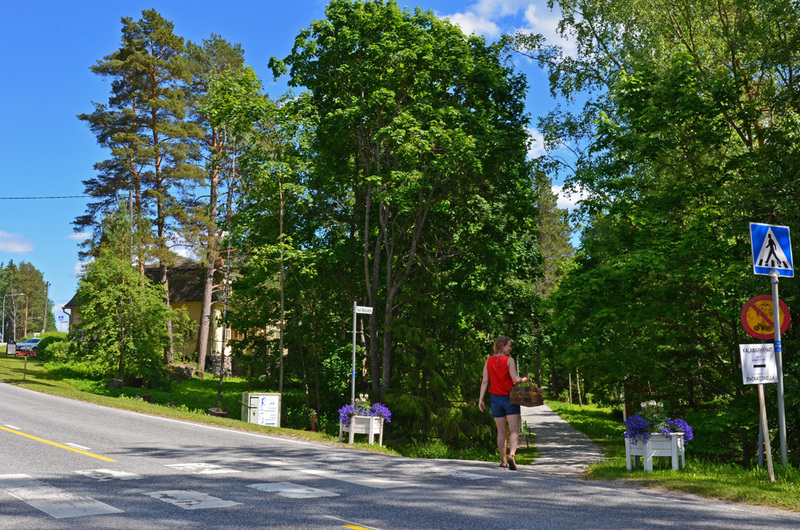 While visiting Enonkoski, you may not necessarily see a big bunch of people because the municipality has only 1452 inhabitants. That is 5 people per square kilometer! However, it does not mean that you would not get to know the local life and feel the presence of its people. 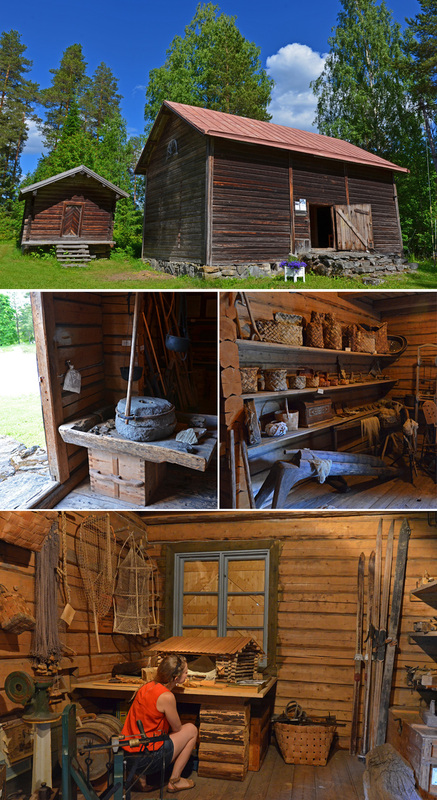 Locals’ life and love for their home region can be seen in the handmade crafts and well-maintained surroundings of Enonkoski. All you have to do is relax and let this Saimaa idyll do its magic. How to get to Enonkoski then? 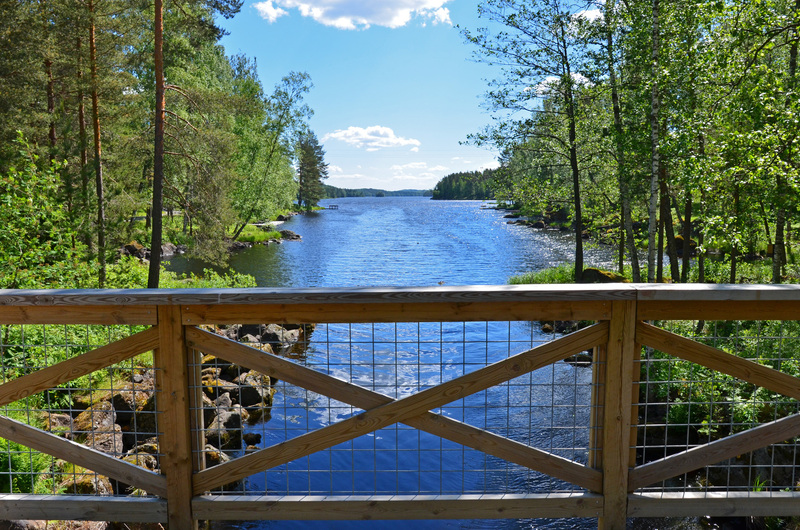 You arrive in Helsinki, fly to Savonlinna, take a rental car from the airport (you can ask the local car rental company to bring the car for you or call a taxi to the rental shop) and in 15 minutes you are in Enonkoski. You prefer train? No problem. 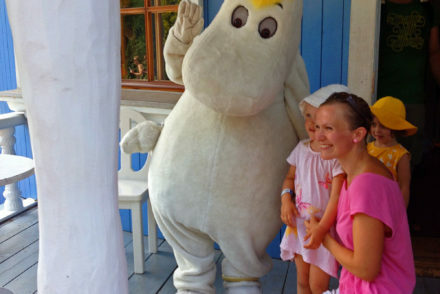 You can also arrive by train from Helsinki to Savonlinna, the rest is the same. A 30-minute drive and you can find yourself relaxing and listening the water running in the Enonkoski rapids. Besides peace of nature, you know what was the best experience for me in Enonkoski? 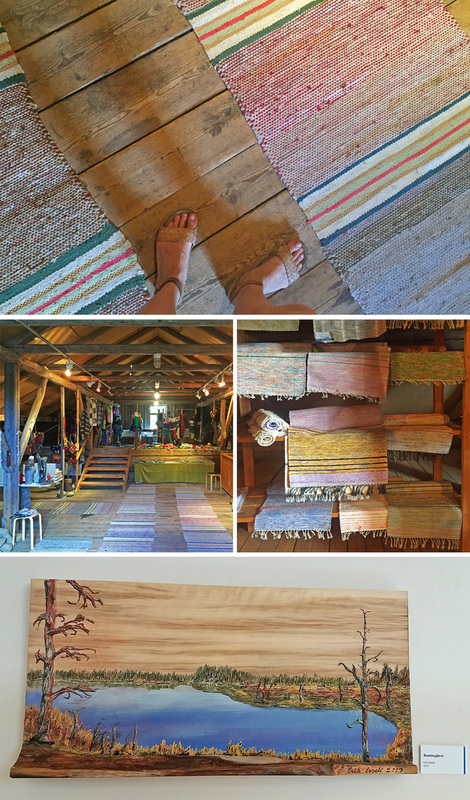 Listening to the old wooden floorboard squeak underneath my feet in a local craft shop located in the upper floor of Kolovesi National Park hut. The beauty of simple, authentic things. That’s the secret of Enonkoski. 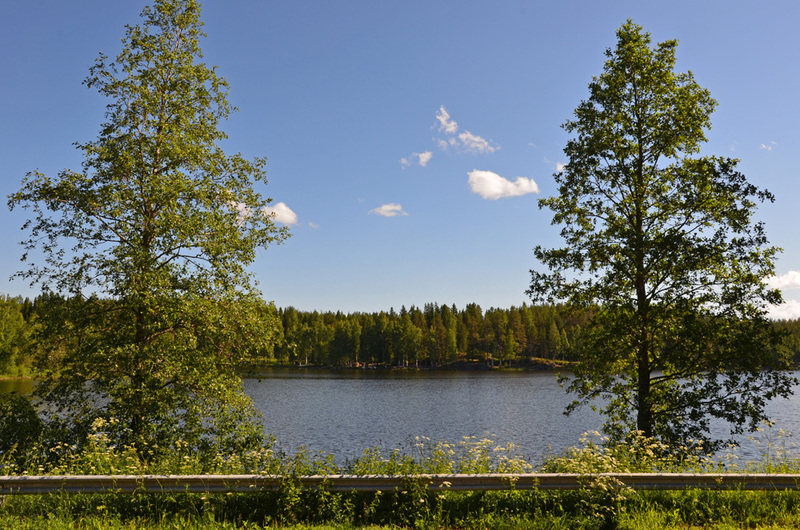 I can warmly recommend summertime visits and walks in Enonkoski municipality center. If you have more time, Kolovesi National Park is definitely worthwhile to see. Motor boats are not allowed in Lake Kolovesi so peace and silence are definitely guaranteed there, too! One option to discover Kolovesi National Park is to take a sightseeing Charter Cruise. Another option is to rent Villa Kolovesi and paddle to the park on a rental canoe. 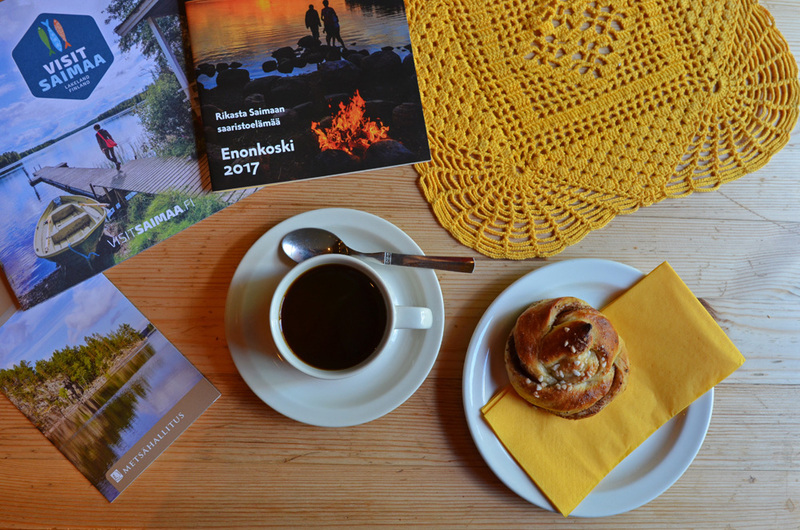 No matter your choice of accommodation or transportation method, read my tips on how to get the best out of your Enonkoski visit! 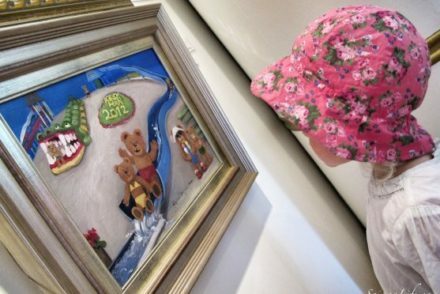 This blog story was produced by SaimaaLife in collaboration with Enonkoski municipality.